Here at Health Risk, we’re finally finishing up our series on the 7 major nutrients. The unfortunate fact is many Canadian health plans don’t cover access to a nutritionist, so we want to make sure this information is as widely available as possible. We hope that in the future employers will choose to cover nutritionists as part of their employee health plans. That way their staff will be able to eat better, make more informed decisions, and live healthier lives. In the meantime, here’s what you need to know about micro and macro nutrients. If you’ve been keeping up on our blogs, you’ll actually know quite a bit about macronutrients already. These nutrients are the calorie dense foods that humans consume for the bulk of our energy. They include carbohydrates, fiber, protein, and fat. Some people also include alcohol as alcoholic drinks have a ton of calories, but as alcohol is hardly necessary for the body, its inclusion is questionable at best. If you want to learn more about carbs, fiber, and protein, you can check part one of the 7 major nutrient series. And follow up with part 2 which takes a look at fats. Just given that the name contains “micro” and we’ve already told you that macronutrients make up the bulk of the human diet, you’ve probably already figured out that micronutrients are the chemicals, minerals, and elements that we need in only tiny amounts. For humans, a micronutrient is classified as a trace mineral that we need in quantities of less than 100 milligrams / day. And if that sounds like a lot, it isn’t. One hundred milligrams is equivalent to 1/10 of a gram or the weight of roughly half a paperclip. You’ll likely have heard of many of the trace-elements and minerals that humans need. 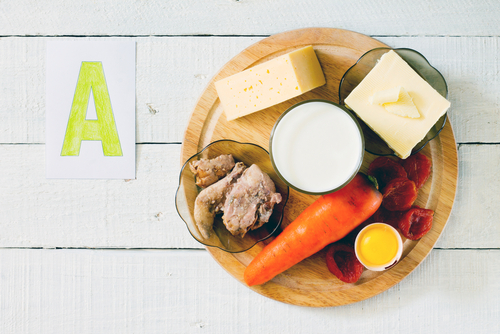 Micronutrients include everything from Vitamin A to zinc. Metals like copper, iron, and cobalt among others are important in trace amounts and are easily found in the foods we eat. Other non-metal elements, like iodine, are harder to get but just as necessary. When you don’t eat enough iodine, your thyroid (responsible for your metabolism) won’t run properly. In the past, iodine deficiency commonly caused goiters. Today, table salt is often iodized to prevent deficiency. Micronutrients, unlike macronutrients, should only be eaten in small doses. While you can eat as much vitamin C as you want (you just pee out the excess), too much vitamin A or iron can cause major problems. The human body is a complicated machine of intricately balanced chemical reactions, and it can be hard to keep it running optimally. A nutritionist can help. More knowledge about food, nutrition, and how are bodies works means that Canadians will have the power to make informed decisions and live better. At Health Risk, we recommend that employers offer their staff the opportunity to talk with a nutritionist. If you want to add nutritionists to your employees’ benefit plan, contact Health Risk today!